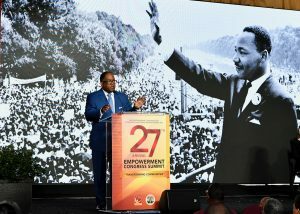 At the 27th Annual Empowerment Congress Summit on Martin Luther King Jr. Holiday Weekend, about 1,200 people came to bear witness and celebrate the many ways that civic engagement can profoundly transform communities for the better. 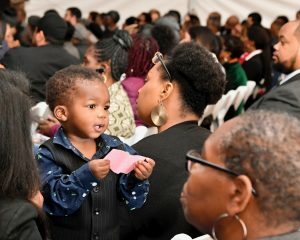 Held at the Charles R. Drew University of Medicine and Science (CDU) in Willowbrook for the first time ever, the Summit featured speeches from Los Angeles County Supervisor Mark Ridley-Thomas, founder of the Empowerment Congress; as well as U.S. Rep. Karen Bass, chair of the Congressional Black Caucus; U.S. Rep. Nanette Barragan, whose congressional district includes Willowbrook; and Humboldt County Supervisor Virginia Bass, president of the California State Association of Counties. 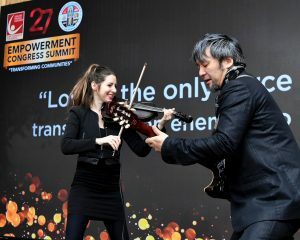 The theme of the Summit was Transforming Communities, and the plenary session showcased how the Empowerment Congress has supported community transformation over the years, including advocating for the rebirth of the Martin Luther King, Jr. Community Hospital, ramping up innovative solutions to homelessness, promoting workforce development in the bioscience industry, and calling for more diversity in the creative economy. The Summit also featured five interactive workshops and a bus tour of Willowbrook, a community that once reeled from civil unrest but has since been transformed in recent years by unprecedented development that includes the sprawling Martin Luther King, Jr. Medical Campus, Metro’s Rosa Parks Station, Magic Johnson Park, and CDU. 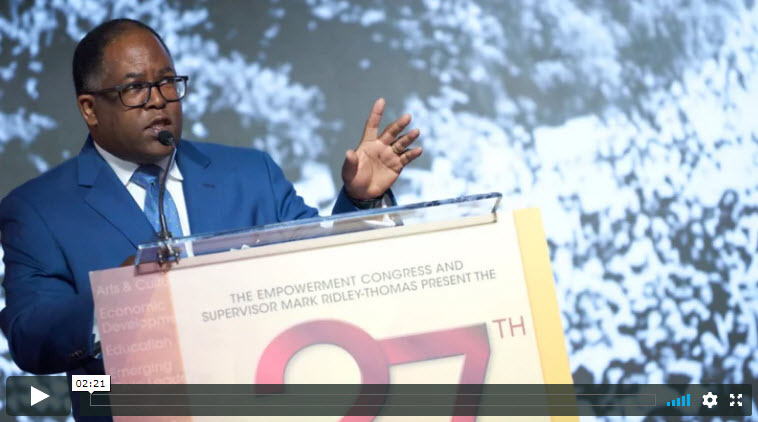 Since 1992, the Empowerment Congress has worked to educate, engage and empower individuals and communities to take control of their futures. 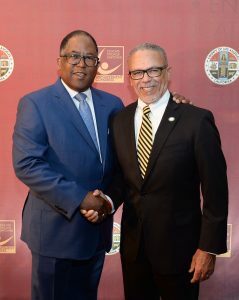 A precursor to neighborhood councils, it is a dynamic partnership among neighborhood groups, residents, nonprofit organizations, businesses, religious institutions, and community leaders within the diverse communities of LA County’s Second Supervisorial District.